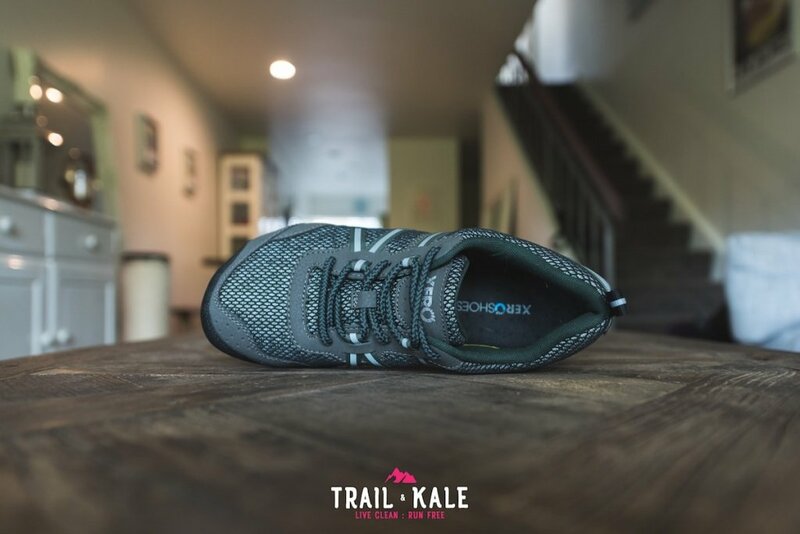 The Xero Terraflex is a ‘barefoot style’ trail running shoe that can benefit your running technique in a multitude of ways. 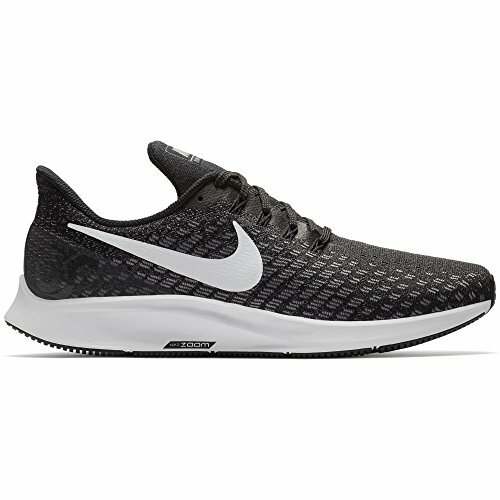 It’s a lightweight, minimal and flexible shoe that should help your body develop a natural and efficient running technique. 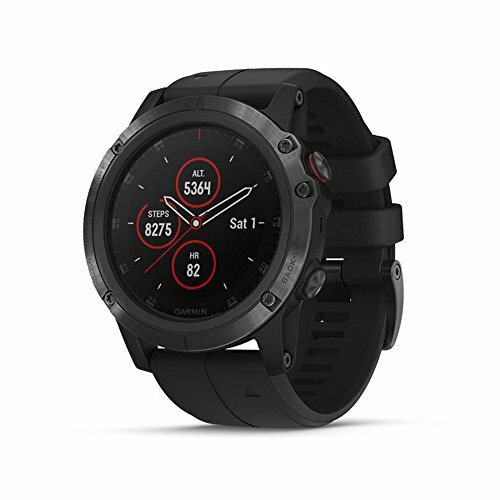 I have now been on a few trail runs with the Xero Terraflex and am ready to share my thoughts with you in this review. 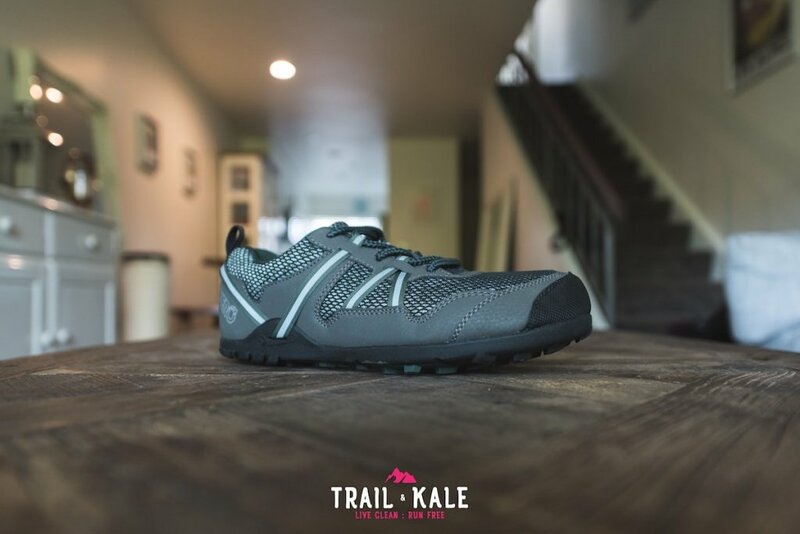 The Xero Terraflex is a very minimal shoe with the goal of helping you run as naturally as possible. 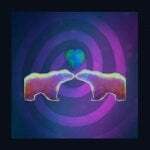 Let’s face it, the human body has gone through so many generations of evolution over thousands of years. Most of this evolution occurred during a time when we weren’t even wearing shoes. So it makes sense that wearing a minimal shoe with a zero drop should feel more comfortable to us. If I was designing a shoe, I too would start from this very basis of thought. 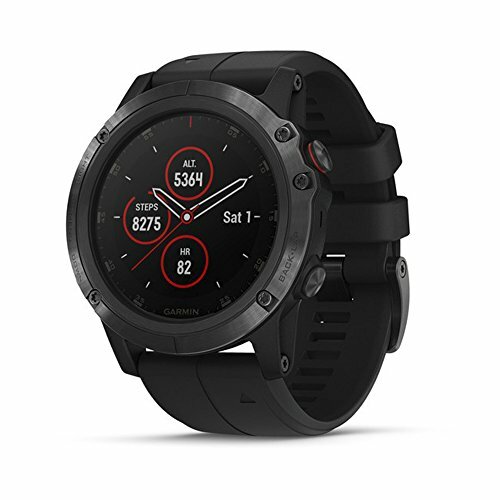 The outer mesh on the Xero Terraflex isn’t waterproof but is breathable. It has a larger weave than the inner mesh, with a little bit of stretch in it. 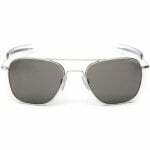 There’s also has a netted fabric overlayed which appears to give the mesh extra strength. 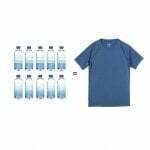 It’s very rare that you can have a breathable material that’s also waterproof, the science just doesn’t work. A waterproof shoe can be great if you’re running in cold and wet conditions but the protection will come with some drawbacks in other scenarios. 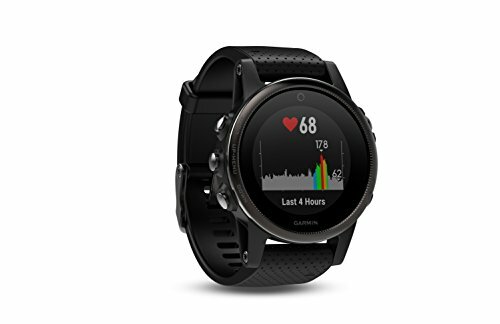 For example, if you’re running in a waterproof shoe in hot weather conditions then your feet will struggle to breathe and will most likely overheat and swell as a result. 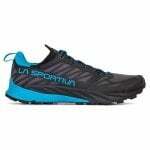 For most running situations, I prefer to run in breathable (non-waterproof) running shoes. If your feet get wet, then a breathable shoe will let the bulk of the water pass through and any remaining will dry quickly. 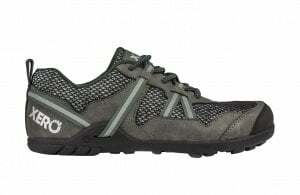 There’s not much heel or ankle support in the Xero Terraflex but it’s a minimal shoe so I wouldn’t expect it. 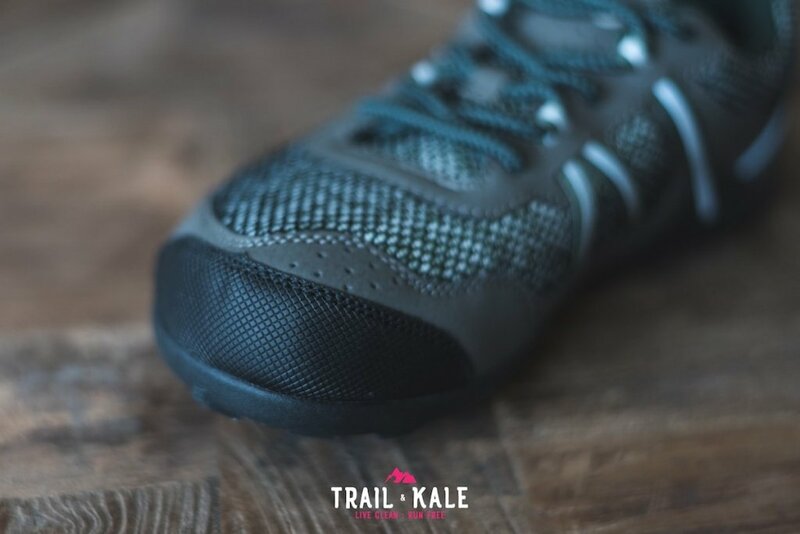 Once you practice barefoot running, or minimal running with the protection of a shoe like this, you won’t have to rely on extra support because your feet should be stabilising you in the way that they have evolved to do so. Having support, whether it be in the arch, heel or ankle means that you’re not working those muscles as you should be. Continued running with support will weaken these areas and you’ll never fix the root of any foot or leg injuries you may be getting. Prevention is always better than a cure. 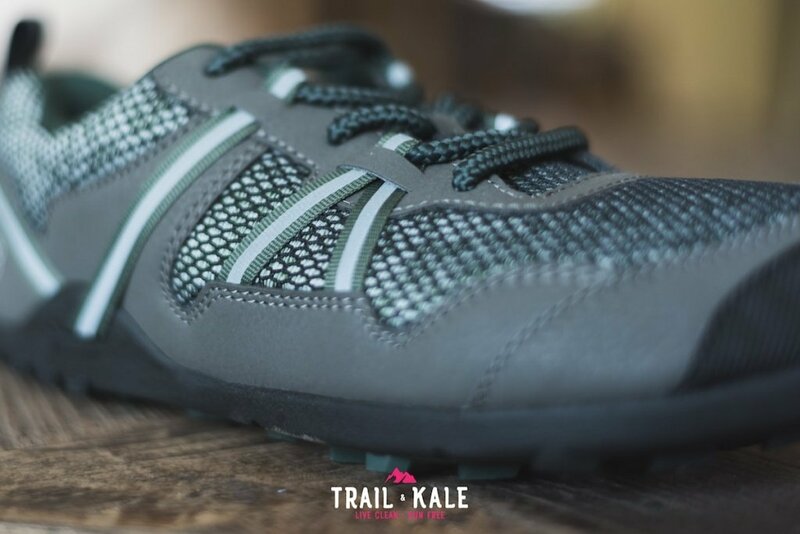 The Xero Terraflex has a zero drop from heel to toe. This is a common theme amongst all Xero shoes and a key aspect for minimal running. Our feet don’t have an elevated heel, so why would shoes, that should only act as an extension to our feet include a heel like this? Once again it’s a cure, in this case, to try and soften the pain caused by running with a heel strike. Something that many runners suffer from, due to running in shoes with elevated heels. 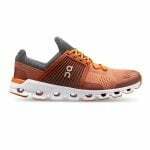 When you run with a zero drop shoe for the first time, you will probably notice that your feet appear to be slapping on the ground. This is because all through life, you’re brain has been trained to account for that elevated heel which is built into so many shoes on the market. After running barefoot for a while your brain and body will sync up again and you will instinctively start to run light-footed, with very little force wasted, as you impact with the ground. Instead of pounding, you’ll be gliding as if running on hot coals. Your cadence should increase, to somewhere around 180 steps a minute and you’ll be using your calf muscles more. When running in a minimal shoe for the first time, please take care to build up your distance and leg strength gradually. Running will feel different to what you may be used to and I wouldn’t want you to get injured before you ever got the chance to adjust properly to this new way of running. I am very impressed with the flex that the Xero Terraflex outsole has. You can literally roll this shoe up into a ball and it will flex back into shape afterwards. Having flex like this gives your feet the freedom to move in their natural and full range of motion as you run. This compliments barefoot running excellently. The problem with having such a flexible outsole though is that you’re going to lack some cushioning. Yes, it’s a minimal shoe but I still think there is room for improvement in the rock plate. Every now and then, during a fast downhill, I would step on a sharp rock with the arch of my foot and really feel the sting. The 4mm rubber lugs gave me very good grip when flying downhill and I’m still not seeing any wear on them, so I expect the soles to last a long time. 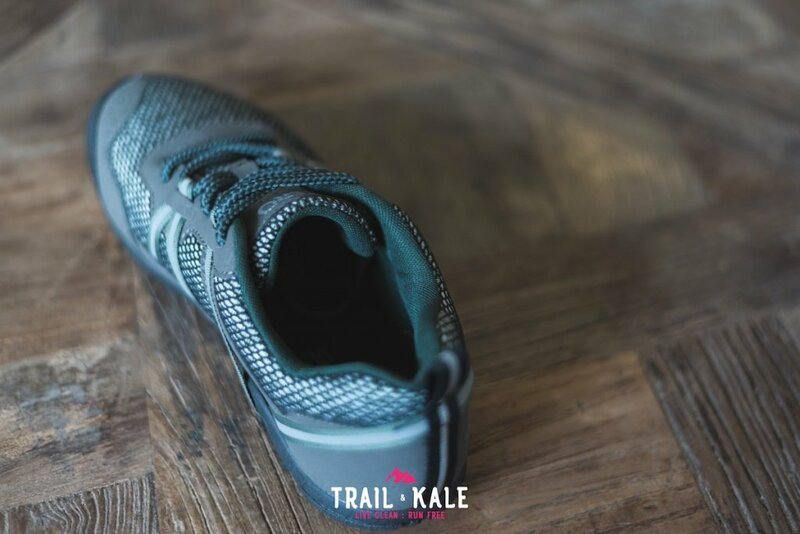 The outsole is very low to the ground which gave me a strong sense of control when navigating the trails this also made the shoe feel responsive. As you can see in this picture, the tongue is nicely padded which acts as a soft barrier between the top of your feet and the laces. The laces, in my opinion, are a bit too bulky, it’s almost as if they have been designed with the hiker in mind rather than the runner. I can’t help but feel they add unnecessary weight, albeit not very much, and because of their thickness, I found them tricky to quickly fasten. For example, it can be a bit fiddly tweaking the tightness at each hoop because you can’t just pull the laces from the top, as they don’t slip through the hoops very well. It’s a small thing I know but something I picked up on. The toe box is wide and fits my average sized feet well. There is still plenty of room in there after my feet expand during longer runs. The toe cap isn’t reinforced but it will protect your toes from most things. I actually kicked a buried rock on one run but thanks to the outsole overlapping at the bottom, my toes were protected. 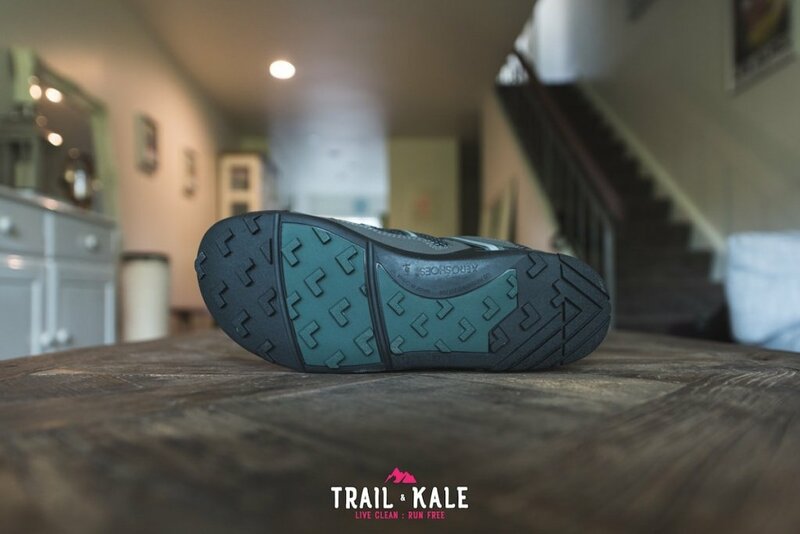 The Xero Terraflex weighs around 272g (US M 9) which is lighter than the shoe looks. It’s not the lightest shoe out there but it’s light enough and I can see myself running lots of hills and long distances in them because of it. 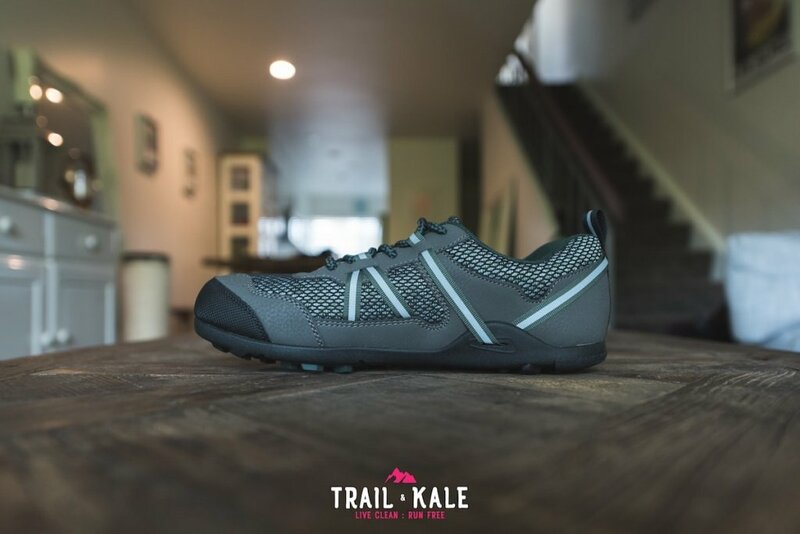 The Terraflex also comes in a women’s version so check them out in the Xero Shoes store if you’re interested. 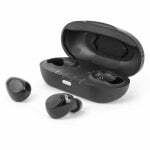 The colour of the men’s Terraflex that I have is called ‘Forest‘ but they also come in ‘Black‘. The women’s Terraflex shoes come in the same two colour schemes. 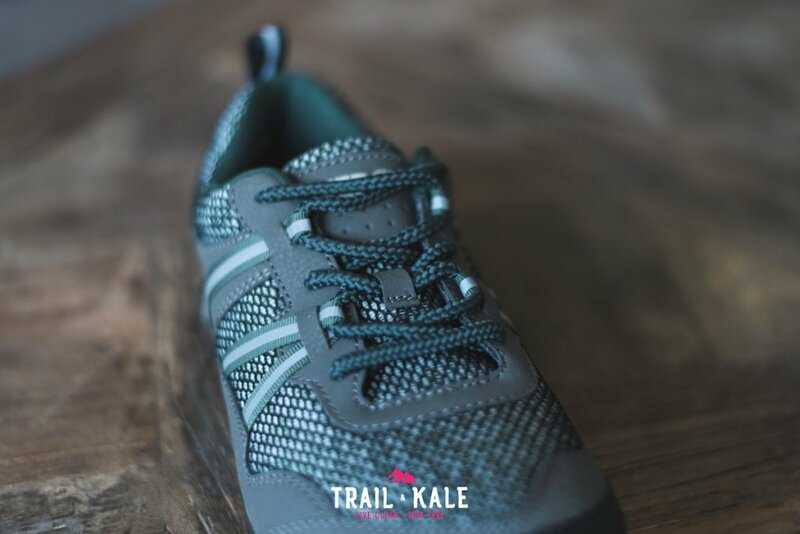 The Xero Terraflex trail running shoes are a very affordable way to kick-start your “barefoot” running journey. 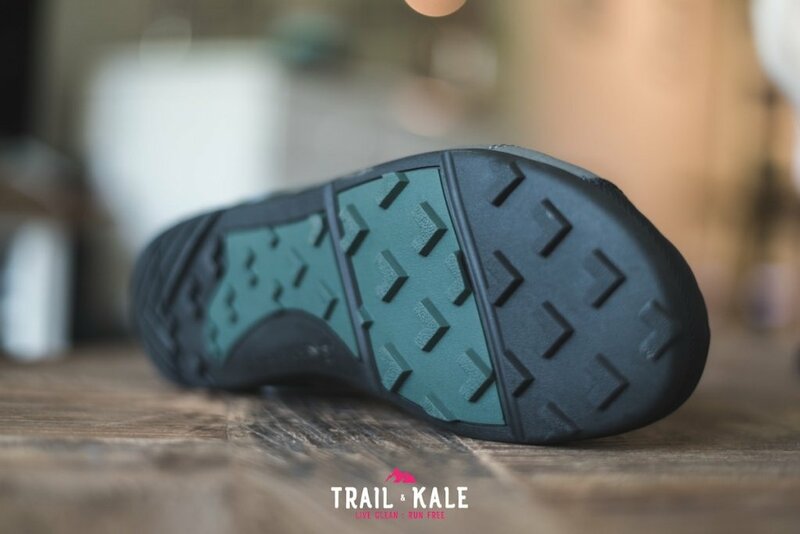 They have so much flex in them, allowing full movement of your feet when navigating the trails. Running with a zero drop is a strange feeling at first but if you stick with it, as I have then you’ll probably learn to love it and hopefully you’ll start to see injuries becoming a thing of the past. 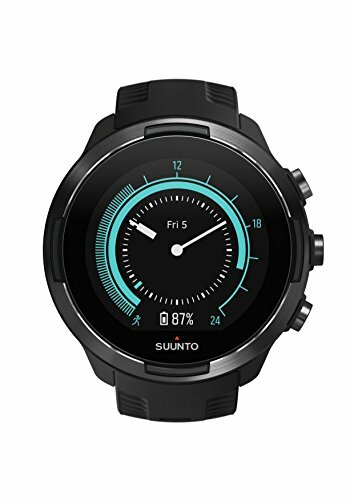 I have been a fan of minimal running ever since I first ran in the Salomon S-Lab Sense. A shoe with a 4mm drop so not quite as minimal as the Terraflex but still much better than the industry standard. 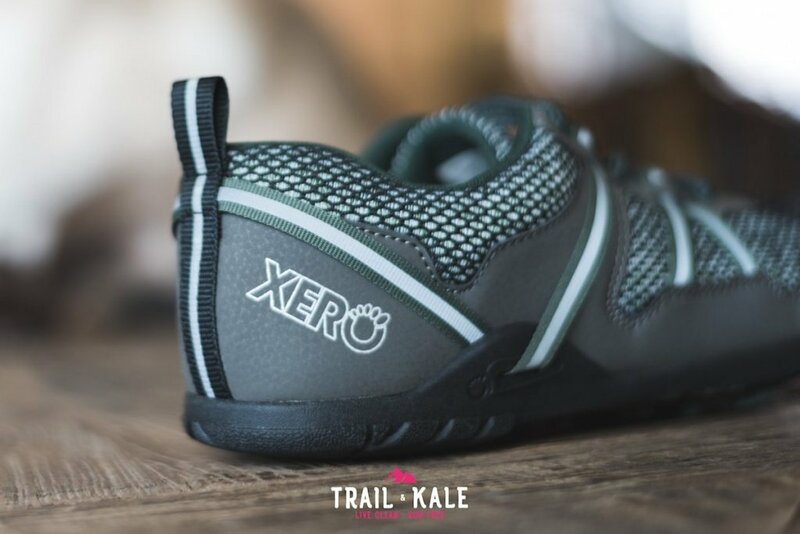 If you run in the Xero Terraflex, leave a comment below, I would love to know how you get on with them! 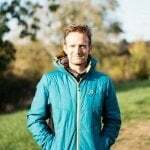 The Xero Terraflex Trail running and hiking shoes are available for $99.99 from the Xero Shoes Online Store. If you have any questions about the shoes or anything relating to them, please ask in the comments below and I will reply as soon as possible. Happy Trails!! 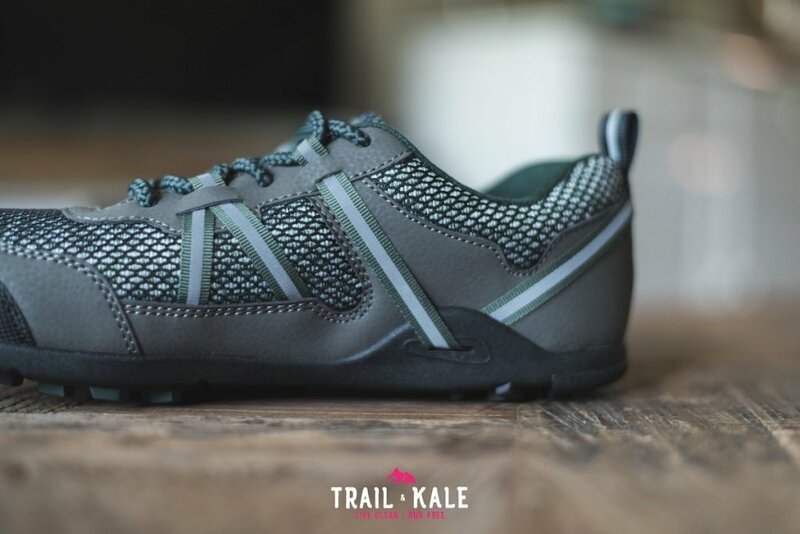 I am trying a pair of the women’s TerraFlex. 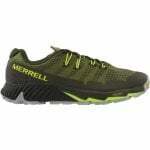 I wanted something a bit softer and more flexible through the arch than the Merrell Trail Glove, and these shoes do fit that bill. I have not run in them, and I might have to send them back, because the outside of the shoe comes up quite high on my ankle and I think rubbing will be a problem. This might not be a problem with the men’s fit. I haven’t ruled them out, but I’m keeping them indoors till I decide. I agree that the fat laces are a bit of a pain. If I keep these shoes, I will probably replace them with some thinner, more user friendly laces.